This book explores the theological lessons to be learnt from 2000 years of Christian Church history. Written by a distinguished Church historian. 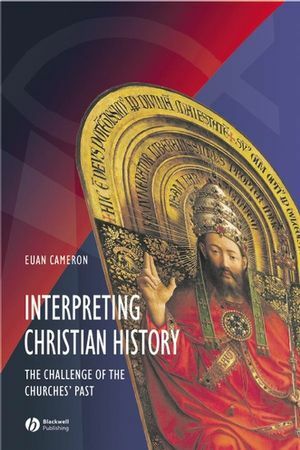 Euan Cameron is Academic Dean and Henry Luce III Professor of Reformation Church History at Union Theological Seminary in New York; and Professor in the Department of Religion of Columbia University. He was previously Professor of Early Modern History at the University of Newcastle upon Tyne. His recent publications include The European Reformation (1991), Early Modern Europe (1999), and Waldenses (Blackwell, 2000). Diversities of Belief, Practice, and Priorities. The Compass and Structure of the Book. 1 The Unfolding of Christian History: a Sketch. Christianity: a Jewish Heresy Spreads Across the Eastern Empire. Greek and Latin, East and West. Persecution, Legal Establishment, Empowerment, and Retreat. The Eastern Church, the Spread of Islam, and Expansion Northwards. The Western Church of Late Antiquity and the Early Middle Ages. Disputes over Control, and the Rise of a Continental Church. Later Middle Ages: the Era of Fragmentation. Challenges and Ruptures: Renaissance and Reformation. The Age of Competing Orthodoxies. Challenges to Orthodoxy: Reason, Enlightenment, and Revolution. The Era of Romanticism and its Implications. The Multiple Crises of the Twentieth Century. Reflecting on the Process of Historical Development. 2 Constantly Shifting Emphases in Christian History. Means to Holiness Become Ultimate Goals. Asceticism: Giving Things Up for God. Sacrament and Sacrifice: the Eucharistic Church. The Company of Heaven: the Communion of Saints. Purity of Doctrine and Instruction: the School of Faith. The Christian Community and its Membership. 3 Church Historians’ Responses to Change and Diversity. The Early Church: Eusebius of Caesarea. Early Medieval Church History: Bede. The High Middle Ages: A Monastic Chronicle. Renaissance Historiography: Rhetoric and Skepticism. The Reformation and the Rise of a Sense of History. The Rise of Reformed Schools of Church History. Confessional Histories in the Age of Orthodoxy. Writing Christian History in the Shadow of the Enlightenment. Toward “Modern” Histories of Christianity. Postmodern and Liberation-oriented Approaches to Christian History. 4 Some Theologians Reflect on the Historical Problem. The Historical Background to Historical-critical Theology. The Challenge of Ludwig Feuerbach to “Modernizing” Theology. German Liberal Protestant Theology of the Nineteenth and Twentieth Century. Responses to Liberalism in the Twentieth Century. Thomism, Mysticism, and Neo-liberalism: Some Roman Catholic Responses. Cultural Diversity, Liberation, Postliberalism, and Postmodernity. "This book is an excellent summary of Christian history from the apostolic period to the current day and is written in an engaging way. It will be profitably used by scholars and students in all Christian traditions and is a helpful text not only for introductory seminary church history or historical theology courses, but also for historiography in university graduate courses."